Florida’s landlord-tenant laws protect tenants from retaliation by their landlord. Retaliation is an unlawful attempt to get back at someone for an action that was committed against you. Learn what landlord actions are considered retaliation under the Florida’s law and what a tenant can legally do if a landlord seeks revenge. There are many things a tenant could do that could irritate their landlord. Florida’s law focuses on some of the most common reasons a landlord may take the serious action of revenge against their tenant. A tenant must have performed any of the actions listed below in good faith. This means that they did not perform them as a way to retaliate against or otherwise undermine their landlord. The tenant has paid rent to a condo or other homeowners’ association after the organization demanded the tenant pay the rent because the landlord had not done so. The landlord increases a tenant’s rent without proper notice or at a higher level than fair market rates for the local market. The landlord refuses to make needed repairs that have been requested by the tenant and full under the landlord's responsibility. The landlord attempts to harass or intimidate the tenant to get the tenant to leave. Actions could include changing the locks on the tenants’ doors or actually removing the tenant’s possessions from their unit. Florida’s landlord tenant act does not list an actual period of time for a landlord's action to be considered retaliation. Therefore, the tenant is free to claim retaliation at any time, but it is up to them to find proof to back up this claim. However, usually claims cannot be filed much longer after a lease agreement has been terminated and a tenant has moved to a new residence. The tenant usually has a better chance of claiming retaliation the closer the landlord's action is to the tenant's action. 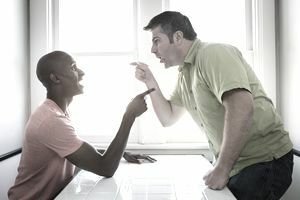 For example, it may be difficult for a tenant to prove that a landlord who raised a tenant’s rent a year after a tenant joined a tenant’s union committed retaliation. It might be easier for the tenant to prove retaliation if the landlord raised the tenant’s rent one week after the tenant joined the tenant’s union. The tenant had not been paying their rent. The tenant had violated the terms of the lease agreement. The tenant had not been meeting their required obligations under landlord tenant law. If a tenant believes that a landlord has retaliated against him or her, the tenant can file legal action against the landlord. The tenant must be able to show proof that they were discriminated against in some way. The tenant must show that the landlord has singled them out and is not following the same procedures for all tenants. The amount of rent the tenant is being charged compared to other tenants. The services the tenant is receiving compared to other tenants. The actions the landlord has taken against the tenant compared to other tenants. If the landlord is found to have committed an act of retaliation, the court may award the tenant the ability to stay in the rental if they so choose, the ability to terminate the lease if they so choose, and/or monetary damages. Landlord Retaliation in Arizona- What Are a Tenant's Rights? What Do Florida Landlords Have to Disclose to Tenants About the Rent? What Are the Tenant's Rights in Regards to Landlord Entry in Alabama?